The proceeds from the prop bet that resulted in Antonio Esfandiari getting disqualified from the Pokerstars Caribbean Adventure main event will be donated to two worthy causes, according to a statement released by Esfandiari earlier today. In case you haven't heard, Esfandiari was disqualified from Day 2 of the PCA main event after deciding to make an ill-fated decision to urinate in a cup at the table. Tournament organizers caught Esfandiari, cited him for a "breach of etiquette" and disqualified him from the event. Esfandiari and Bill Perkins had a prop bet going that required Antonio to lunge everywhere for a full 48 hours. Esfandiari, who underestimated the difficulty of the bet, was having trouble walking and elected to urinate in a cup instead of "lunge" to the bathroom. Esfandiari, as mentioned, was disqualified and has been making the apology rounds ever since. 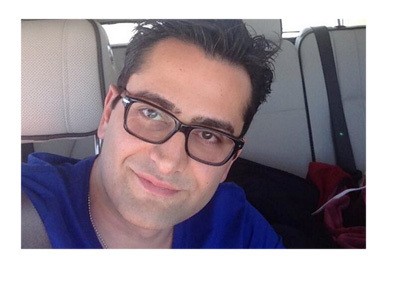 Esfandiari, as it turns out, ended up winning the $50,000 prop bet. Instead of keeping the money, however, Esfandiari has elected to donate the entire sum to two charities that he is passionate about - ONE DROP and REG. Esfandiari acknowledged to a statement released to Pokernews.com (link below) that his actions were "completely unacceptable" and that he will grow from his mistakes.